Increase team efficiency and drive operational improvements with a system that gets smarter every time you use it. 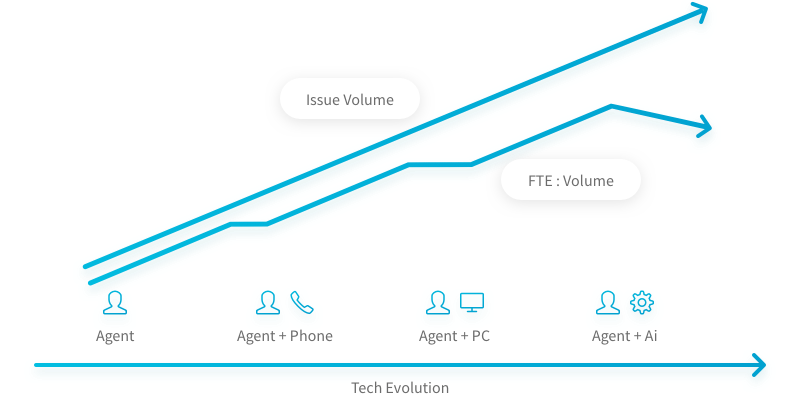 The historical challenge is that support team hiring has typically grown in lock-step with customer contact volume through each technology evolution. Artificial Intelligence is here to help automate the low-value routine questions so that your team has the capacity to focus on high impact interactions and keep your customers happy. Relay is redefining how we help our customers with a focus on predictive support. 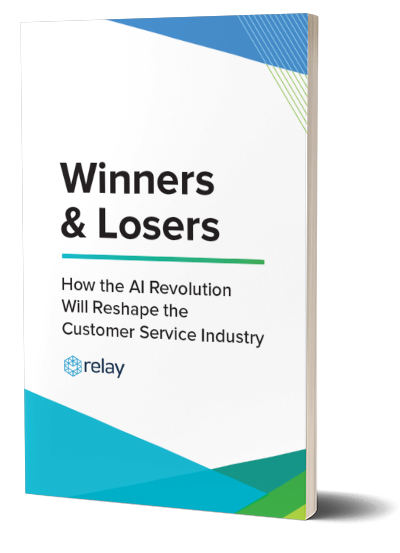 Powered by artificial intelligence, Relay captures rich data from every customer interaction across all channels uses powerful feedback loops to deliver more accurate and better outcomes to customers and agents. 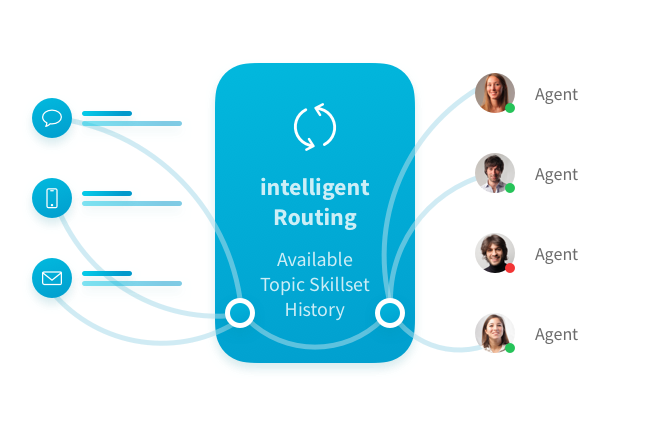 Relay has been built on the Relay Technology Index, which uses deep learning to analyze data from millions of support interactions across a universal technology dictionary to identify patterns and suggest answers based on a conversational knowledge base. The more you use Relay, the smarter it gets. Relay builds support automation into all aspects of the system to save time and create more personalized experiences at scale. Reduce ticket volume by providing a friendly digital self-service option to your customers. 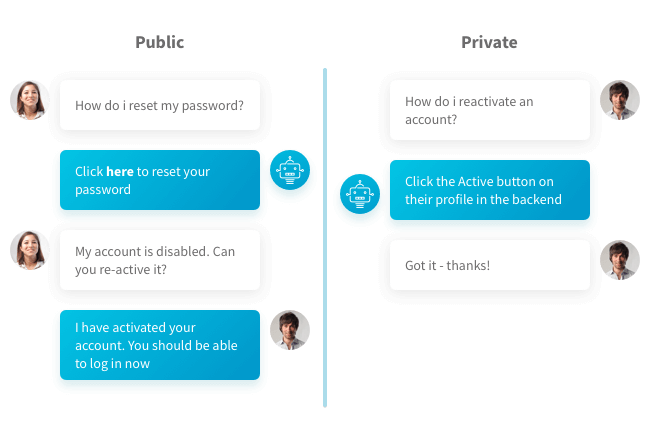 Chatbots also suggest answers to your agents behind the scenes based on the conversation with the customer. Tickets are presented to the best available agents based on the context of the conversation and additional historical data inputs. Tickets are automatically tagged with categories and topics from the conversation so you get actionable insights that help you improve your business without spending time on manual data entry. Artificial intelligence technology will soon live at the heart of all types of software, operations, and entire business models. Proactive support will become the standard and companies will use support automation to begin to focus on customer experience as a holistic strategy. We have built powerful data models from years of experience so you don’t have to. Benefit from data models that are already trained from millions of support interaction and apply that learning to your customers’ unique location information. 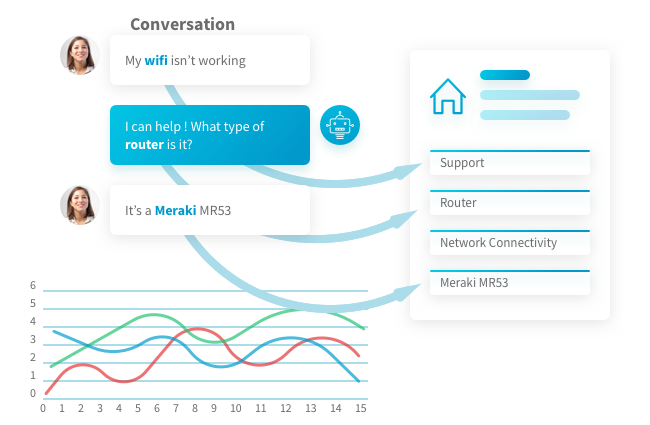 Enjoy the scalability of machine learning with the added control of programmable conversation flows. 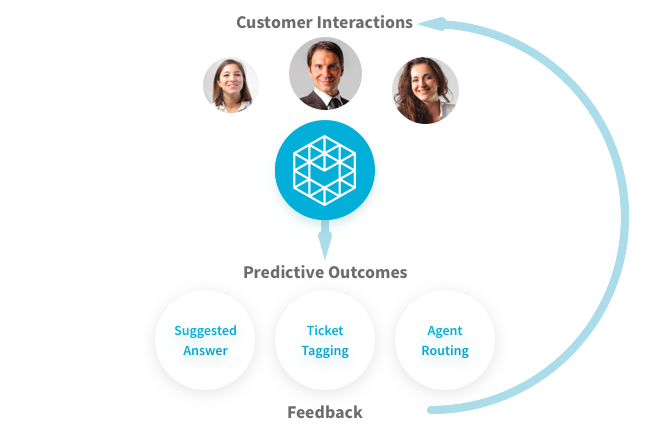 Relay uses national language processing (NLP) to understand and digest the intent of a message and applies customer context from historical tickets and knowledge to create engaging conversations.